Move over carbon dioxide: scientists have discovered a new greenhouse gas, and it's 7,000 times more powerful than CO2 in its effects of warming the Earth. 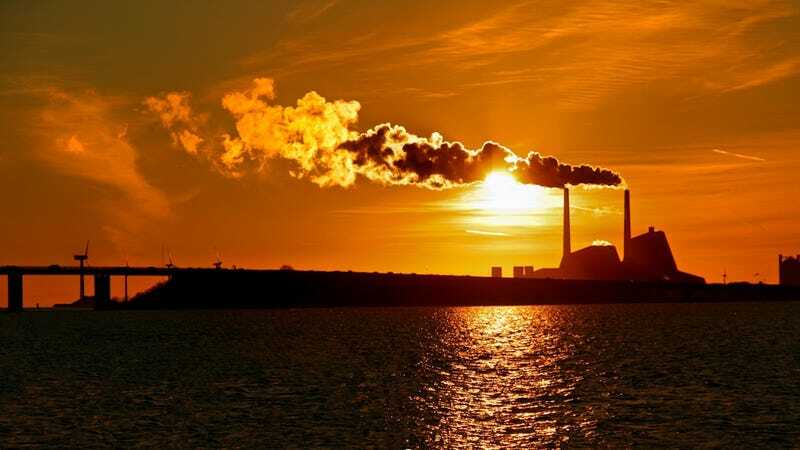 Scientists from the University of Toronto have discovered that perfluorotributylamine (PFTBA), which has been in used by the electrical industry since the mid-20th century, can have a huge impact on the warming of the planet. Their research suggests that it is 7,100 times more powerful at warming the Earth over a 100-year time span than CO2. In fact, speaking to the Guardian, one of the researchers points out that "PFTBA has the highest radiative efficiency of any molecule detected in the atmosphere to date. Fortunately for us, the concentration of PFTBA in the atmosphere is extremely low, at just 0.18 parts per trillion (at least, in the Toronto area) compared to 400 parts per million for carbon dioxide. So, while it's potent, it's not going to be causing the same problems as the CO2 released from burning fossil fuels. The research is published in Geophysical Research Letters.